Do you want to invest in a promotional item that your customers will carry always? 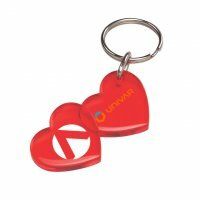 Print your brand logo over customer acrylic keytags and gift them. Customers can clip their keys along with these keytags or clip it over the purses, backpacks or bags and carry it wherever they go. Avail free branding (free artwork design and free online design proof), fastest turnaround time and no payment until the approval of design proof. 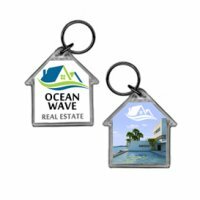 Promotional acrylic keytags will bear your full color logo imprinted in an crystal clear shell and they stir interest with their clear and durable construction. Safe, durable and adorable, personalized acrylic keytags will become your client’s way of securing their valuable belongings. 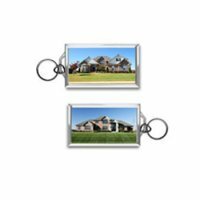 We carry a great selection of acrylic keytags made of high quality durable material. You can easily find them in circle, rectangle, square, home, car and other miscellaneous shapes. You can give these keychains on the next promotional opportunity. 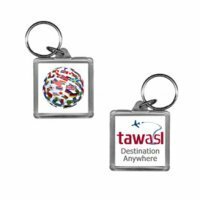 Whether you gift these keychains on certain promotional days or during the regular in-store promotions people will like them, they deliver you the advantage lowest cost per-impression because people will carry it with them always. Acrylic keytags are suited for all types of businesses and they can use it for bulk giveaways during tradeshows, business conventions, etc. Using custom printed acrylic keytags as wedding favors or party favors will be an intelligent and convenient choice because they can carry your picture or special message with clarity. You can gift them during or after the event as a keepsake and your guests will like them immensely. At such affordable rates, you don’t have to worry about overdoing the wedding gift budget because we offer attractive discounts on bulk orders. 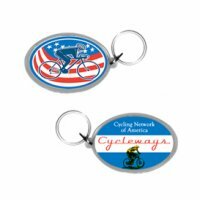 Even if you are hosting an awareness event, fundraising or planning a birthday party, bachelorette party, anniversary party or reunion, you can gift these customized key chains favors to everyone. Full color acrylic keytags also make a nice gift for your employees, friends, business partners, vendors and everyone else in your business circle. Stick with your customers through thick and thin with these customized acrylic key tags. 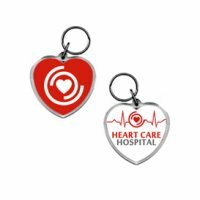 Order from Budgetkeychain.com and avail the lowest price match guarantee, best profit margin on bulk orders and easy visibility. 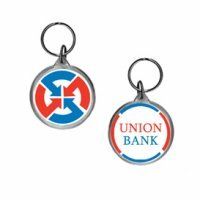 To know more about discount margins and promotional capabilities of these lasting keychains, feel free to contact us at 855-539-8247.